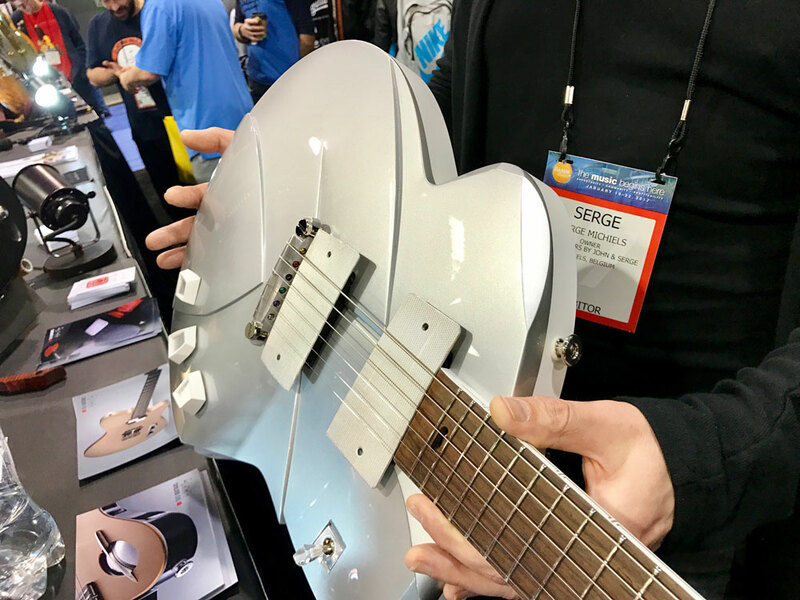 This doesn’t qualify as any kind of NAMM report. 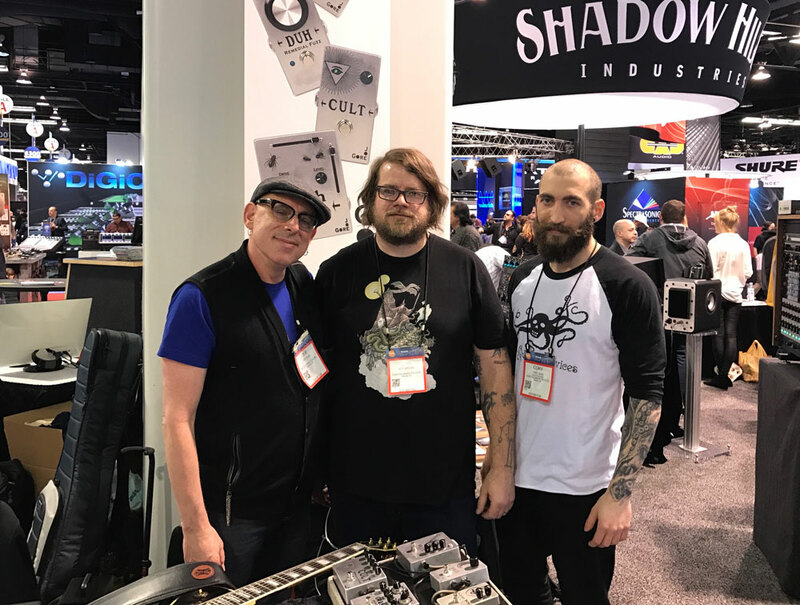 I was imprisoned behind the desk at my Gore Pedals booth, relieved only for bathroom breaks and a couple of visits with old friends. 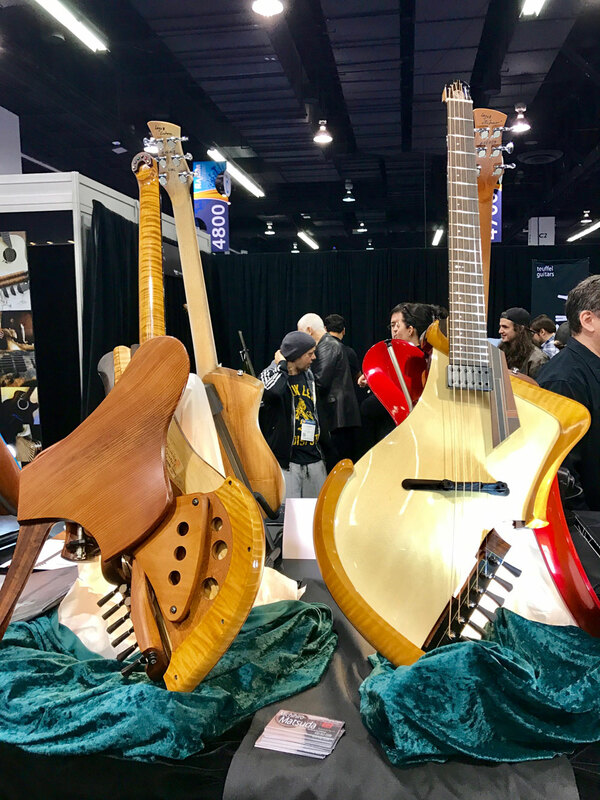 Even so, I saw some lovely and inspiring things, especially the visionary instruments at the Boutique Guitar Showcase and the ravishing stompbox visuals from Greece’s JAM Pedals. (JAM pedals sound great too.) Plus a few old friends dropped by. It was so fun, I went minutes at a time without thinking about the inauguration. 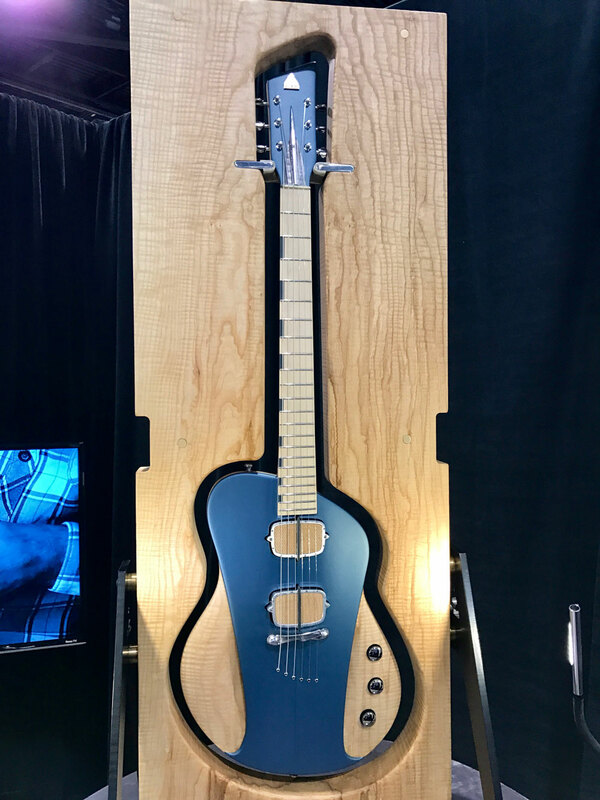 A modernist vision from luthier Pete Malinoski. 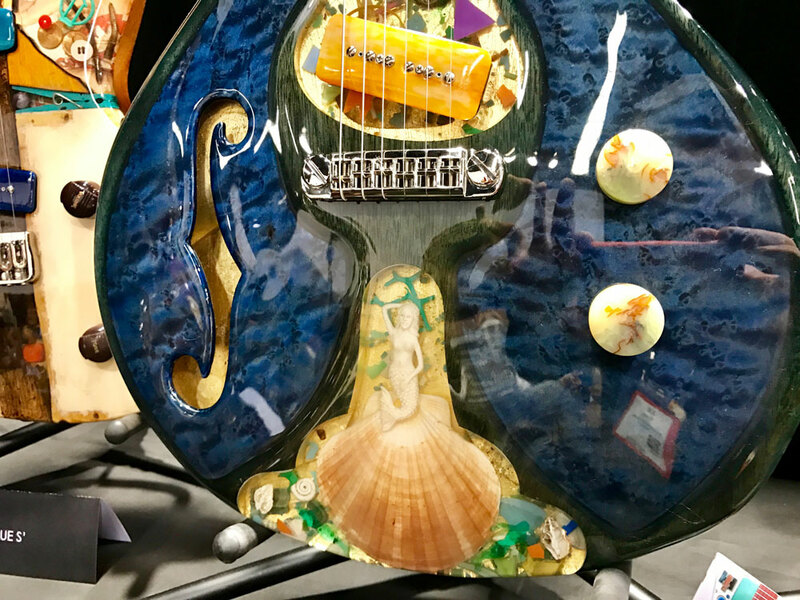 Pancake-thin perfection from Venice, Italy's Di Donato Guitars. 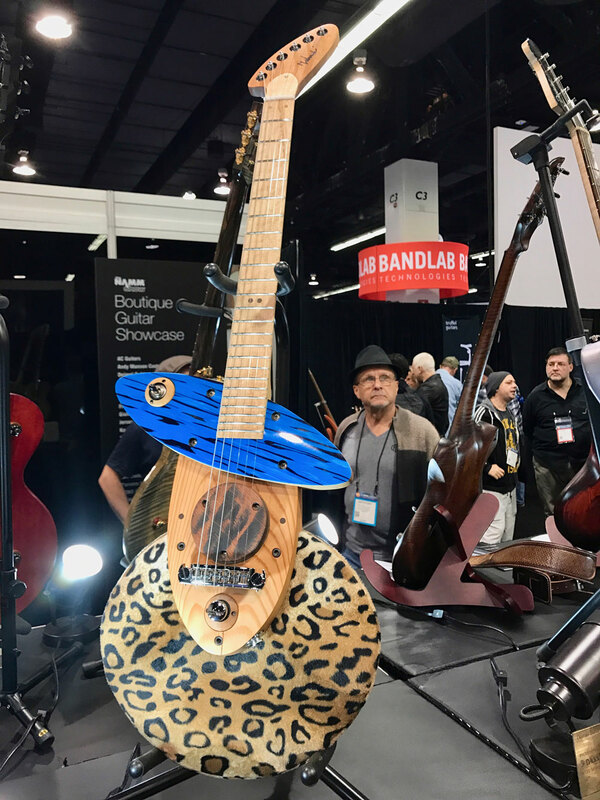 Japan-born, California-based luthier Michihiro Matsuda devises seriously radical acoustic guitar designs. Spalt's Frankenstein Music Machine, a genuine show-stopper. 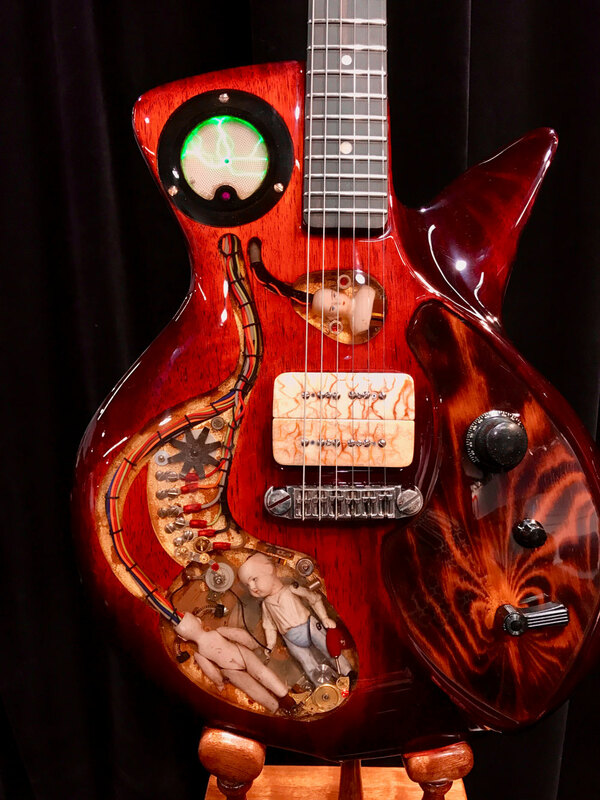 Whimsy unchained from Vienna-based luthier Michael Spalt. Serge Michaels of Belgium's TAO Guitars shows off his magnificent Phaeton model. Like its name promises, the One-Piece Master from Sauvage is carved entirely from a single block of wood. 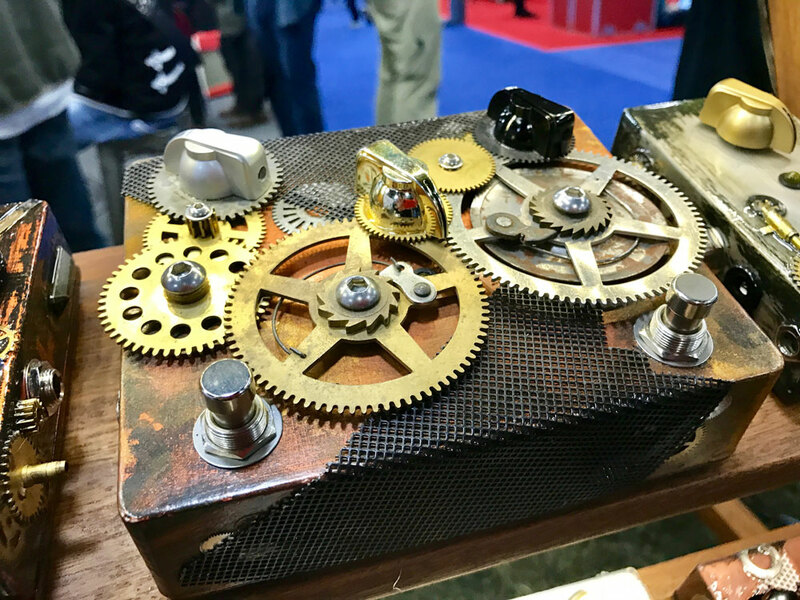 The Antikythera Mechanism of stompboxes from JAM Pedals. Yes, the gears work. Jannis Anastasakis, brilliant builder behind Greece's JAM Pedals. 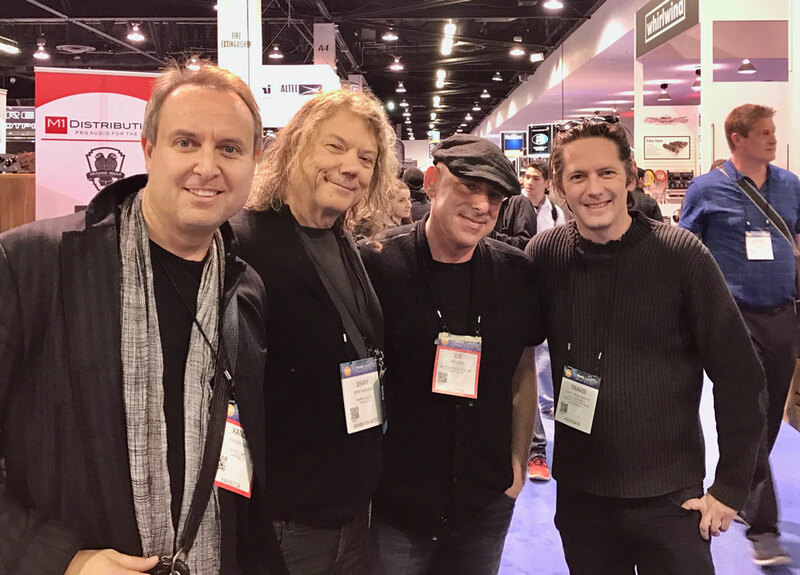 My NorCal crew [L-R]: Xander Soren, the mastermind in charge of music apps at Apple (and a fine player); Talking Head and producer extraordinaire Jerry Harrison; some schnook; engineer, producer, producer, and cool guy Travis Kasperbauer. 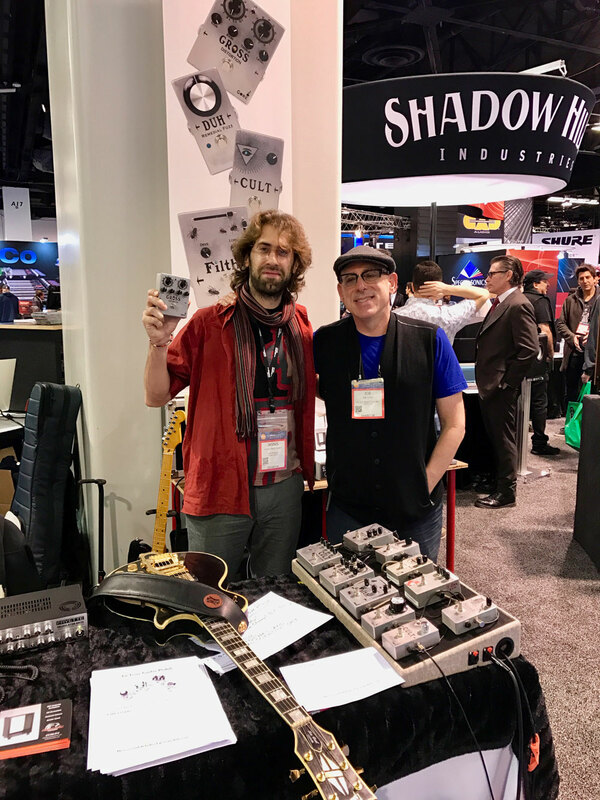 It was awesome to meet the guys behind those ever-inventive Earthquaker pedals. 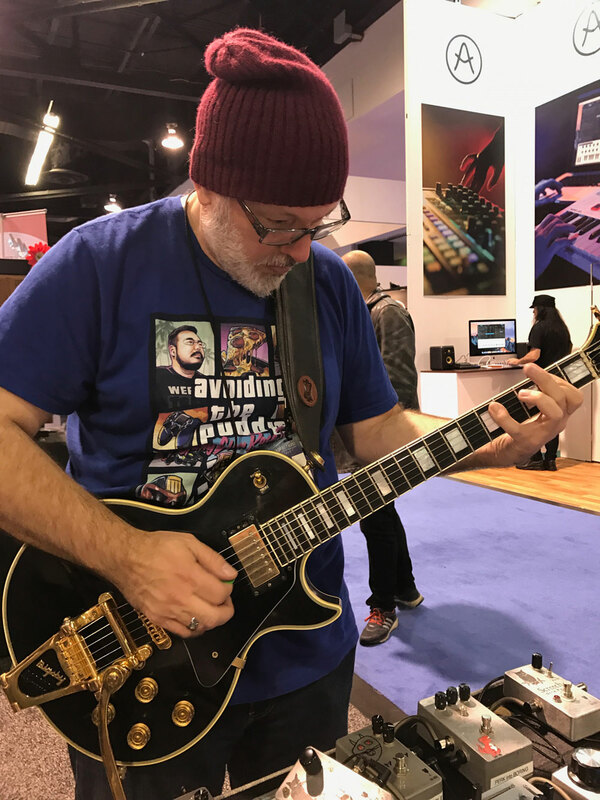 So nice to run into the brilliant Mike Keneally. Eleven JAM effect in a single integrated pedalboard. 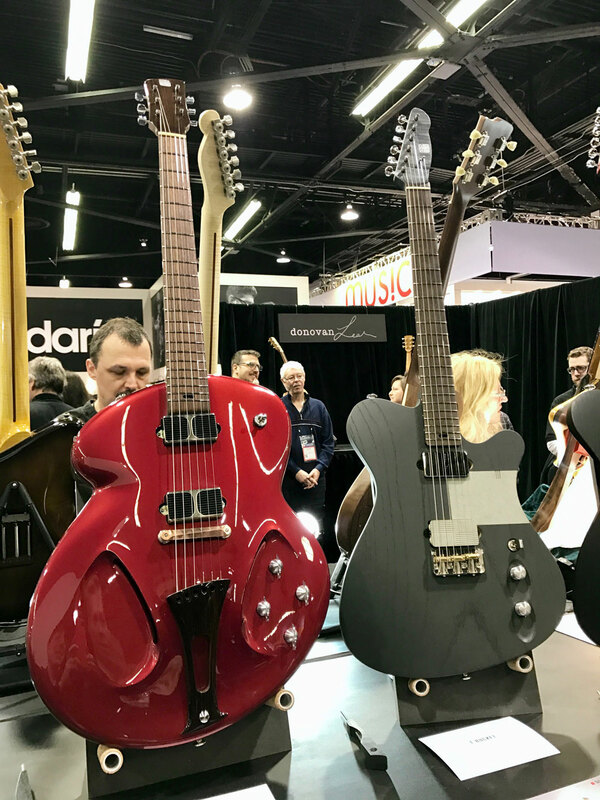 Curves galore from TAO Guitars. 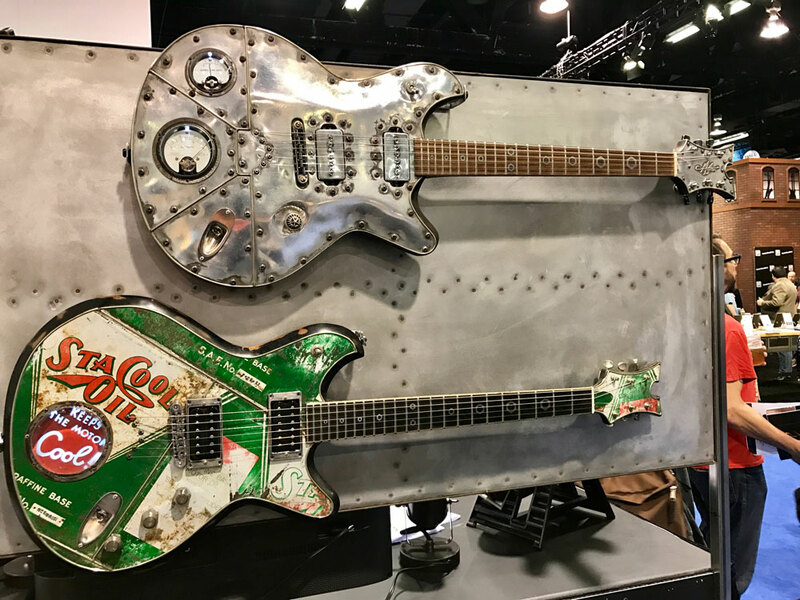 A metallic duo from McSwain Guitars. 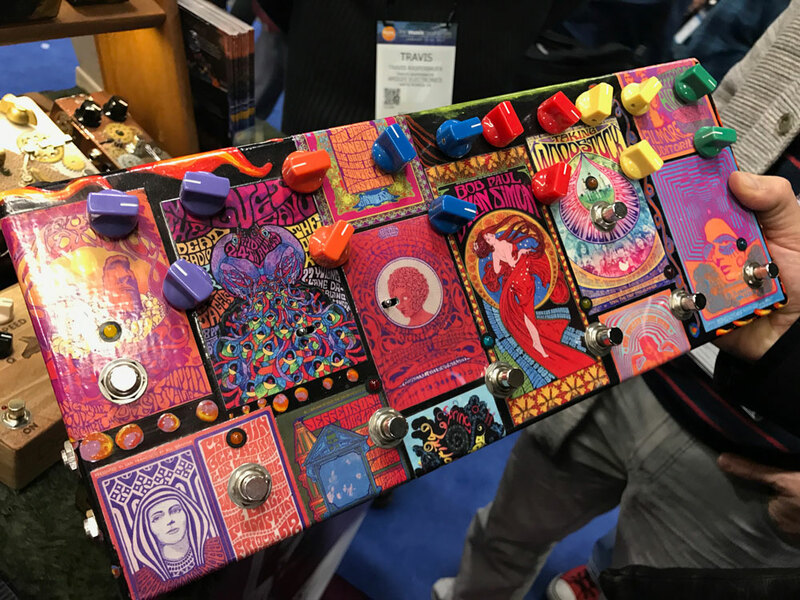 Jannis Anastasakis of JAM Pedals was kind enough to loan me one of the eye-popping pedalboards from his display (the last image in the slideshow). I’ll be posting a demo here soon! 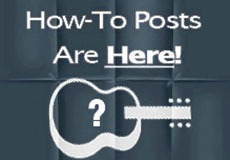 same problem… No slideshow available…. Sorry, folks! My old slideshow plugin stopped working. But the new one seems to be functioning okay now. 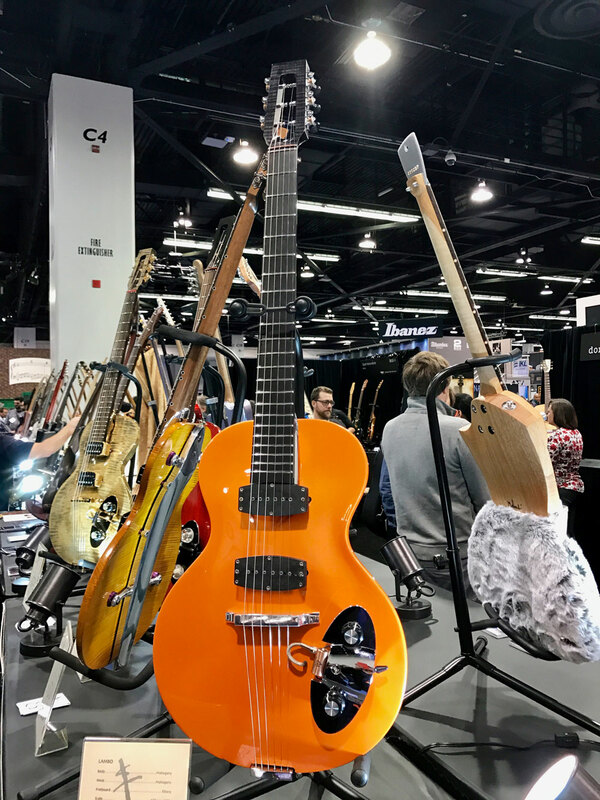 Someday I would like to get in to the NAMM show – I imagine it would be fun for awhile and then get steadily more exhausting and oppressive but it seems like something every gearhead (even a shy and retiring one such as myself) should have the chance to do at last once. 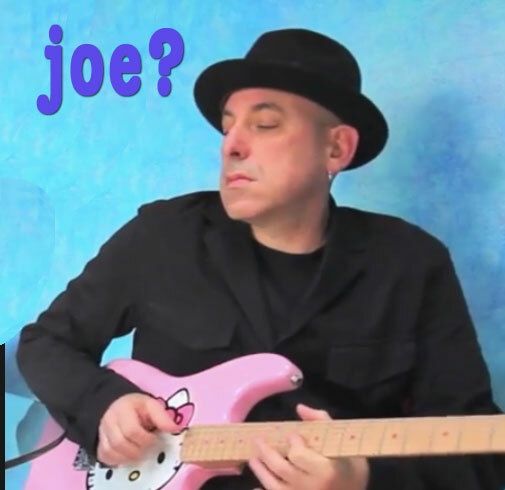 I just went through some old Guitar Player mags and confirmed my suspicion that it was a review you wrote that got me into experimenting with some of my own ideas when building pedals. I had made several clones of the Crest Audio Fuzz Face that I got as my first pedal. When reading a review you wrote on the Lovetone Big Cheese I was interested by the bit about how the Whey control progressively destroyed the sound as it was turned up. I decided to see if I could get a Fuzz Face to do something that cheaply. A few days, some switches and pots and diodes and I had a pretty usable “broken fuzz” mode working! 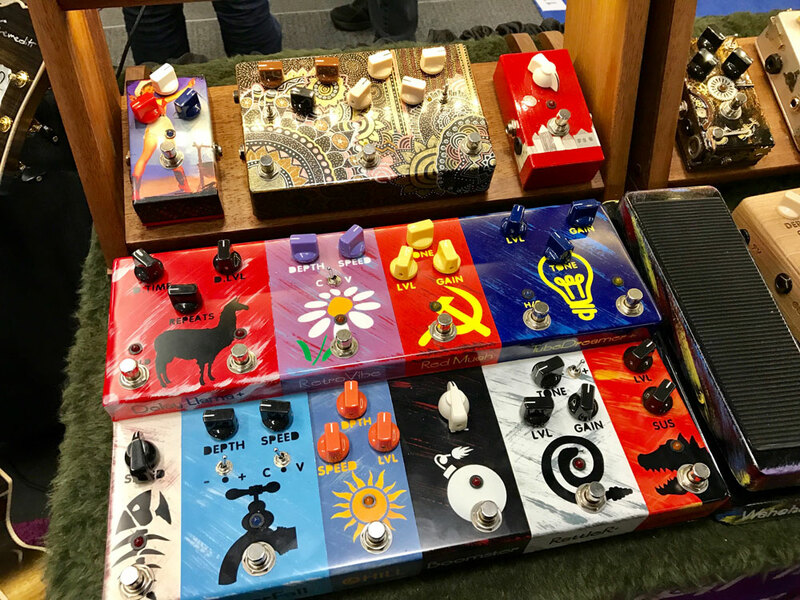 I even made and sold a couple to some like minded fuzz fiends. Thanks, Ray! 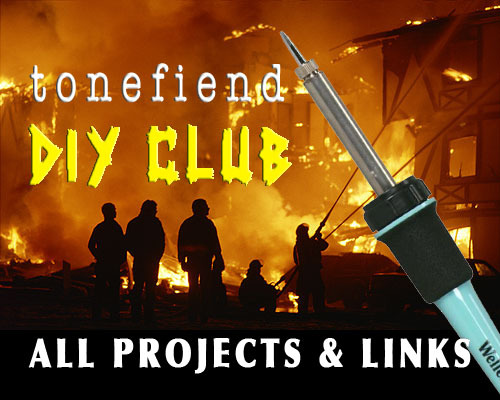 Yes, that was one of the things that got me started on building as well, and my first “original” design was something very similar to what you describe. (Usually starving the voltage to the transistor collectors does the trick).